I’ve been very hesitant about Sims 4. I think it would be really difficult to go back to instanced lots rather than the open world. How has your experience been with 4 so far? Actually, it has been the most difficult thing. I have spent almost a year NOT playing the Sims 4. I only started again because I was bored and this challenge intrigued me. 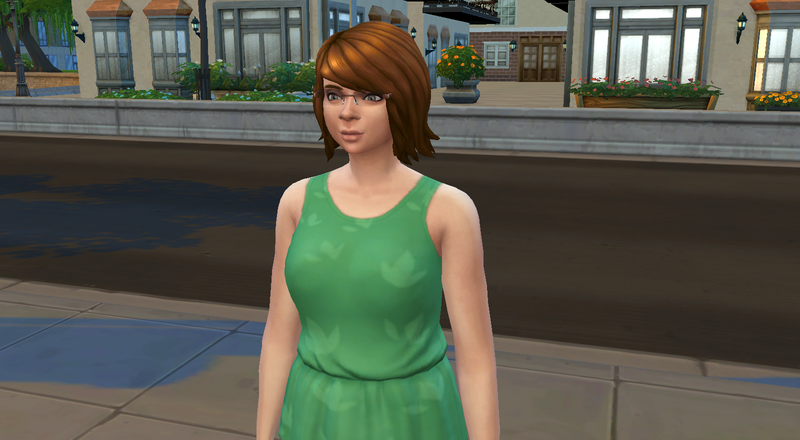 The game grows on me, but there are still things I think Sims 4 regressed on. I feel pretty much the same about 4, and haven’t started playing it again. I like the idea of a legacy, but it feels too awkward to me, trying to do a story without toddlers. *shrug* I did start a new some 3 legacy, though, just for fun. I’ve missed the playing and writing! Yeah. I wanted write more for the ending of Twinbrook Fields, but I just couldn’t get it done and the game hates me and my machine. Sims 4 plays better for me. I don’t like it as much, but I never have problems. My machine is old. I got it just before Sims 3 came out and have put a few upgrades into it, but not many. At this point a new computer is in order, but I can’t afford it.